For a long time now, my sister and I have (affectionately) given my parents a hard time because they can be kind of square. You know, like ’50s TV parents square. But the nice thing about having Ward Cleaver for a father is that, just like on Leave It to Beaver, there’s always a lesson to be learned, whether you realize it or not. And over the years, me and the Beav — I mean, my sister — have certainly learned a lot. 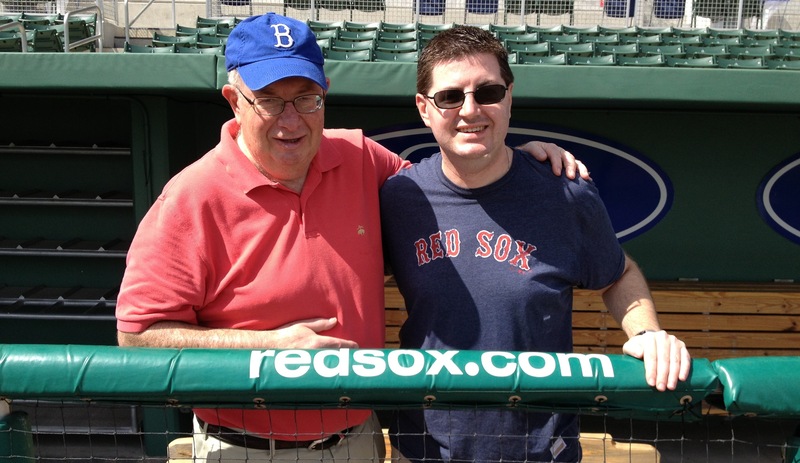 Today, on the occasion of my dad’s 70th birthday, I wanted to share a few of those lessons. Most of these my sister and I cowrote and read aloud at a surprise party for him yesterday. But since we didn’t want to speak too long and bore the crowd in attendance, I kept a few extras just for this blog post. Of course, it all starts with his most famous lesson, the one we’ve heard most often, and about which I’ve written before: Don’t go to bed angry. Here are some other things he’s taught us. 20. The only reason to ever go to Oneonta, NY (where he went to college), is if you’re on a trip to Cooperstown to see the Baseball Hall of Fame. And even then, it’s an unnecessary stop. 21. Baseball is the best sport. Always will be. 23. Nothing’s better than a good, corny joke. Except repeating it so many times that it’s like beating a dead horse. 25. And most importantly … Not every day is going to be a good one, but if you look on the positive side, forgive easily, see the good in people, and work hard, you’ll have a great life. All kidding aside, I feel tremendously lucky to be able to call my dad my dad. He’s one of the most supportive, humble, generous, encouraging people I know, someone with an almost unceasingly positive attitude, and someone who has instilled many of the same values in me. Even with his recent health issues, he’s remained strong and good humored, determined not to let his illness define him or get the best of him. I’m glad I got to celebrate this milestone with him, and I look forward to celebrating many, many more in the future.